hope and love into the heart of the community. Sunday service starts at 10.30 am every Sunday. 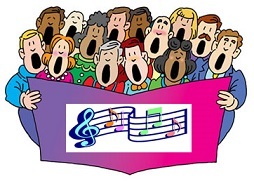 Sunday Services are held from 10.30 am until 11.30 am every Sunday at Ewyas Harold Baptist Church. Our usual services are in the Chapel on the first, second and third Sundays. On the fourth Sunday, there is a 'Cafe Style' Service in the Chapel's Hall (except for August) and there is a 'Prayerful' service should there be a fifth Sunday in the month. 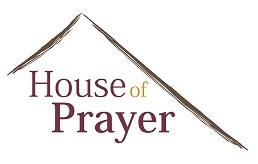 Regular Prayer Meetings are held throughout the year. 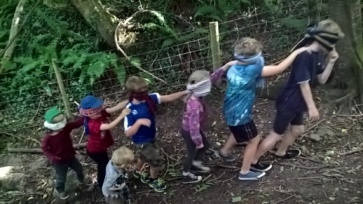 At intervals throughout the year, outdoor activities are arranged that are fun, thought provoking and family orientated. See notice board for further details or contact Julia (via church contact details). Outdoor Church activities in the past have included model raft making, pond dipping, camp fires, treasure hunts, games and more.... The themes have been: 'Fishing', 'Lost & Found', 'Trust' and 'Light of The World'. On the fourth Sunday of each month (except August) there is a 'Cafe Style' Service in the Chapel's Hall. This service provides activities for all ages and families are especially welcome. 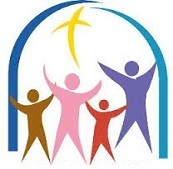 On the second Sunday of most months (please see newsletter - link below notice board) - There are opportunities to explore the Christian faith in a variety of ways including a young people's zone, creative zone, word & scripture zone, discussion zone & listening zone. This all runs alongside our usual Sunday Service. This is a discussion group exploring interesting and challenging issues. All opinions, thoughts and views are encouraged. The only rule is that all opinions, thoughts and views are respected. 'Monday Matters' meets at 7.30 pm on the third Monday of each month. This is a group of enthusiastic artists of all abilities who enjoy exploring and developing different arts. 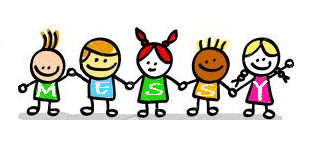 This group meets every term-time Wednesday from 10.30 am until 13.00 pm. thoughout the year from 10.30 am until 12.00 noon. Come along and enjoy good company. We currently have one house group with the aim of encouraging one another in our walk with Jesus and our understanding of the Bible. the year except for in August and December. Ewyas Harold Baptist Church is a keen and active member of the local 'Churches Together' group. 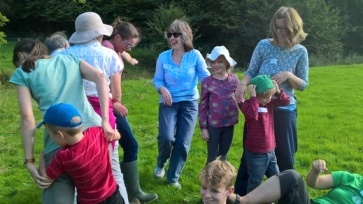 Throughout the year, members from the different churches in Ewyas Harold organise several services with the aim of bringing all the different fellowships within the area together to worship in unity. Members of Ewyas Harold Baptist Church regularly conduct services at Dulas Court, the local residential home for the elderly. Ewyas Harold Baptist Church is involved with the local 'Rural Churches Fellowship'. For further information, contact Rob Parkinson. Ewyas Harold Baptist Church (EHBC) is a fellowship of Christian believers who, through the worship of Jesus Christ and the activities of the church, believe in serving Christ and meeting needs. Click HERE to see highlights of our current church life. The first recorded preaching in this area by a Baptist was in 1862 in the home of Mr James Powell, Lion Row, Ewyas Harold and in that same year Ebenezer Baptist Church, Ewyas Harold, was formed by the Revd. Edmund Edwards (also known as ‘Bombay Edwards’ of Zoar Chapel, Pandy). In 1864 land was purchased from Thomas Pugh, Bridge Farm for £30 and a Baptist Chapel was built and opened for public worship on 15th June 1865. 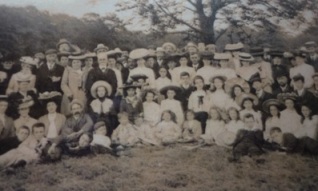 In 1881, it is recorded that 6 persons from the chapel were baptised by Monmouth Cap Bridge in the presence of about 500 people. 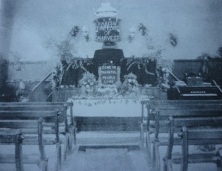 In 1889 the church purchased the first harmonium organ and in 1906 a baptistery was installed in the church. In 1908 the organ was replaced with a larger pipe organ purchased by a loan borrowed from members. In 1912 it was recorded that the minister at that time (Revd. Isaac Lloyd) preached 3 services every Sunday and in 1913 it is recorded that a policeman was paid 5 shillings for attendance at a concert in the Church room. Could this mean he was needed to keep Baptists in order?. In 1928 the church bought The Manse for £600 and in 1949 electricity was installed in the chapel. In 1962 Professor Emiritus John Evans B.A. preached at the chapel’s 100th Anniversary Service, himself also being 100 years old! 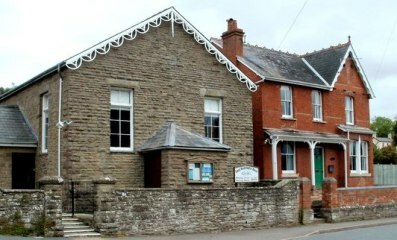 In 2003 a new hall was built at the back of the church and is a wonderful addition of space for church events and clubs. Having recently celebrated our 150th anniversary, EHBC strives to continue it's work in Ewyas Harold and the surrounding areas. Ewyas Harold Baptist Church aims to follow the teachings of Christ and worship in ways which are both contemporary yet respectful of tradition. We are a welcoming church and hope to provide a spiritual home full of love, faith and hope to all. We have strong links in the local community, other churches in the area and BMS World Mission. We are a small friendly church that aims to apply the teachings of Jesus inwardly and share His teachings outwardly. We have activities that would interest all ages, these include: various youth groups, house groups, discussion groups and services at a local residential home. There are regular Sunday Services in the Chapel and various community events held during the year.